Another Emerson 729B, in black plastic. 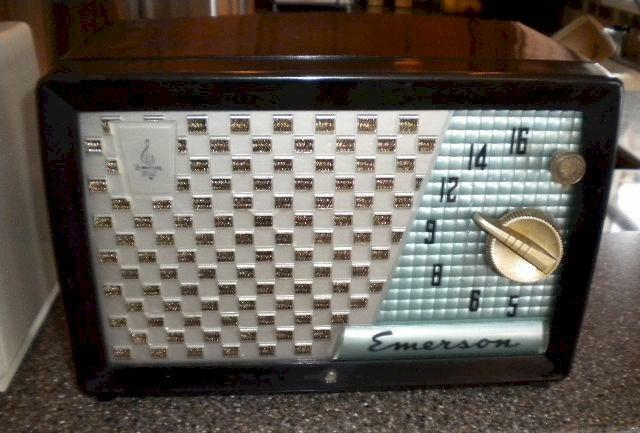 This five-tube Emerson from the year I was born is in much better shape then I am because someone took very good care of it! 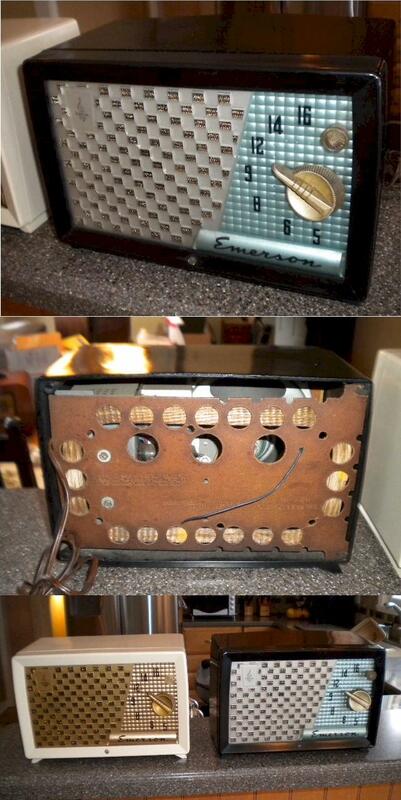 Case is perfect as is the grille and dials. Radio receives AM broadcast load and clear. 11"W x 7-1/2"H x 6"D.
You are visitor number 2,595 to this page.